Tor.com has the first chapter of the new “fashionpunk” novel Yarn on their site for free. You can view it here. It is nice and long, for your reading enjoyment! Yarn was released on December 14th, 2010. We posted a summary on our weekly release list, which you can read here. 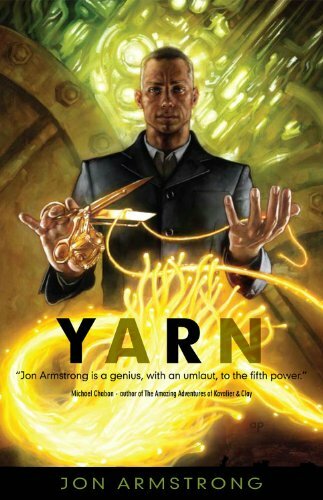 Please enjoy this excerpt from new science fiction “fashionpunk” novel Yarn byJon Armstrong, out from Night Shade Books! Next post“Halo” And Orson Scott Card Book Giveaways on Tor.com!